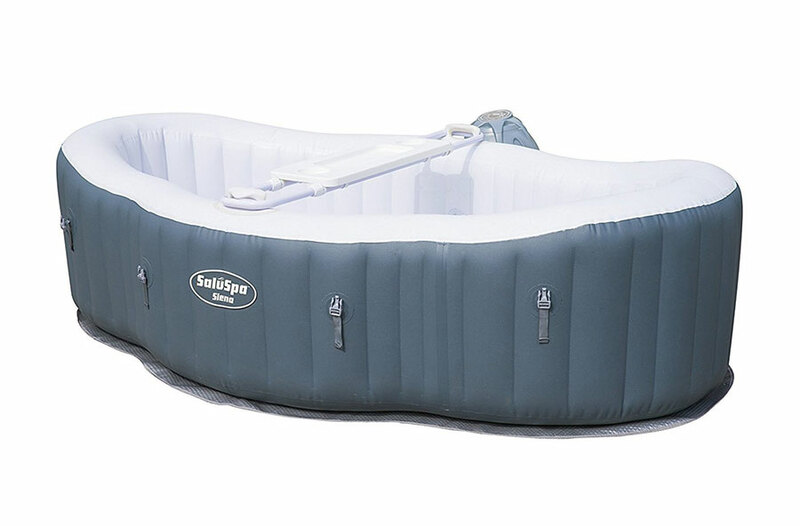 When in the pool or in the sea with friends then what better way to relax and enjoy the sun with a drink than on your very own inflatable island. 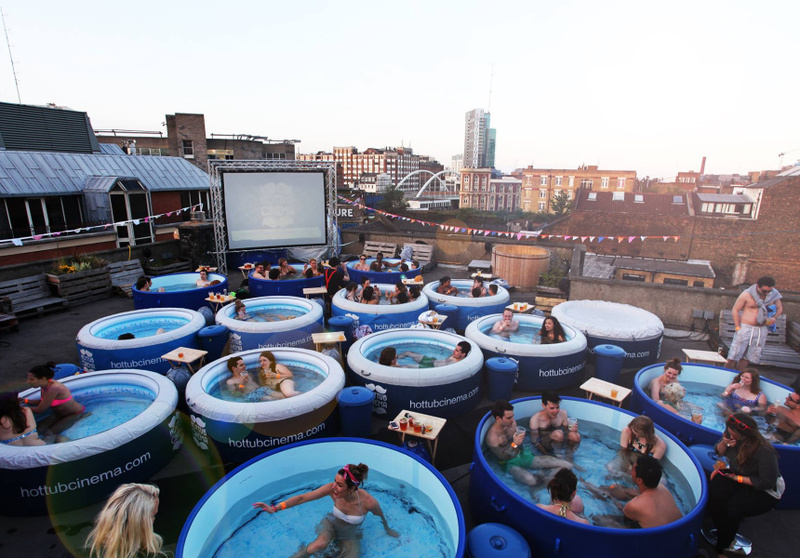 These are large inflatables that allows for 6 or more people to enjoy at the same time, built in inflatable seats, drink holders and even shades are incorporated. 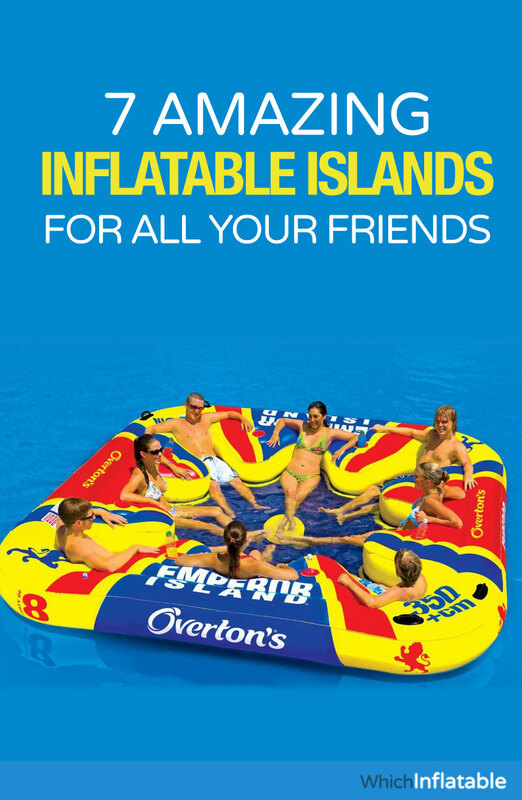 Check out these Amazing Inflatable Islands & Rafts for all your Friends. 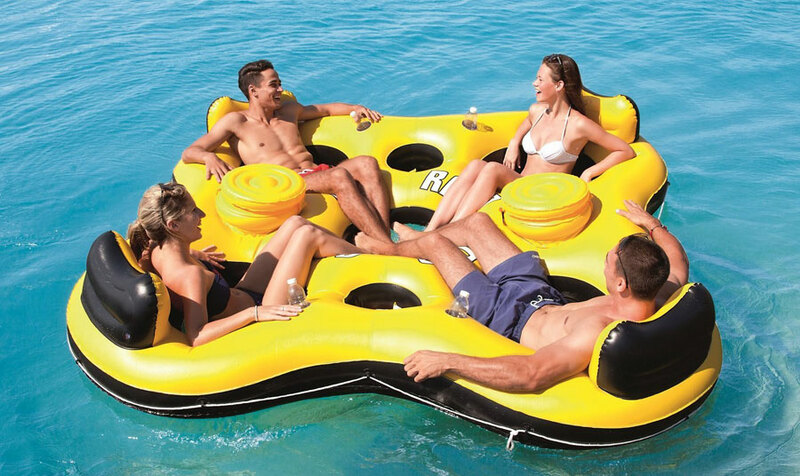 We have rounded up some of the best and coolest raft and inflatable islands perfect for the summer and taking into the sea. 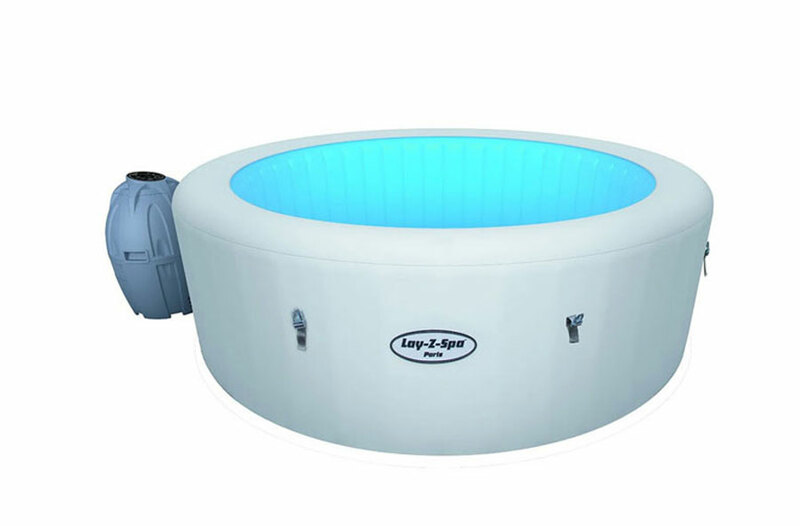 This Floating island with up to 6 person capacity is perfect for floating in the sea or a very large pool, it has 6 cup holders built in as well as its very own cool bag perfect for strong drink bottles, wine and beer. 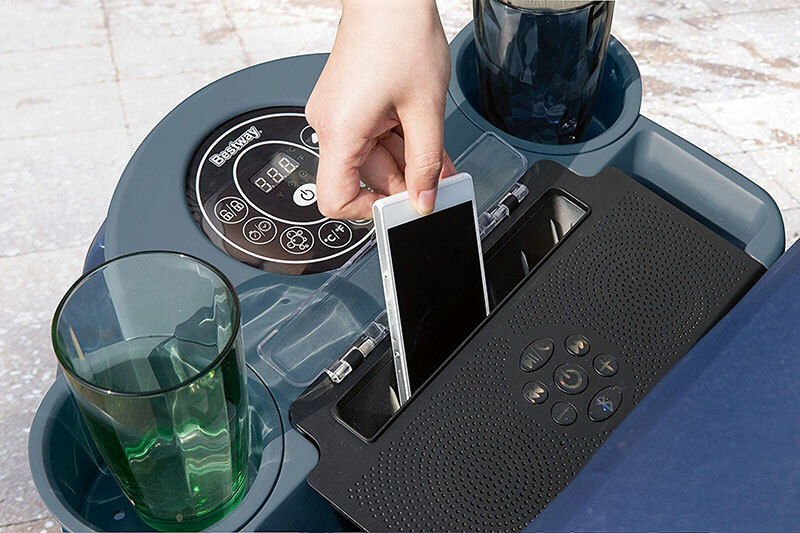 It also has a removable sun shade which covers one half of the island, great for when the sun is at its strongest and can easily be removed if not needed. 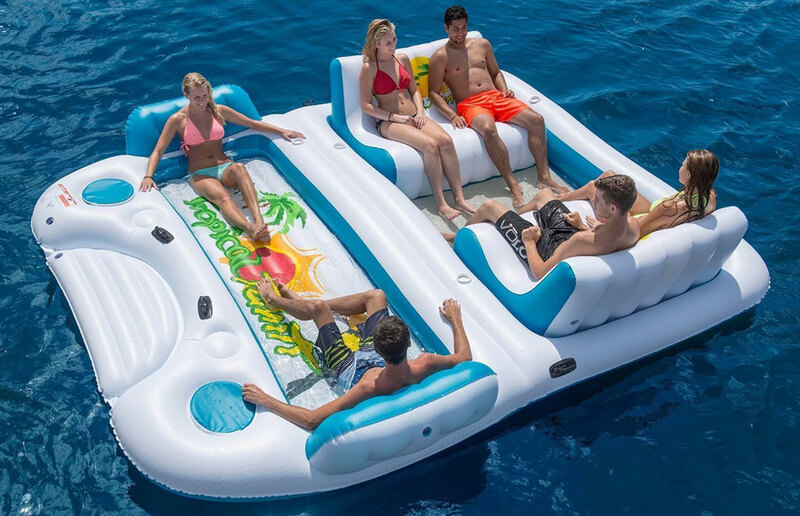 This floating island will comfortably seat up to five adults, there are two loungers on one side and a bench style seat on the other for more people. There are four drink holders included in the design and there are large backrests and armrests for added comfort on every seat. 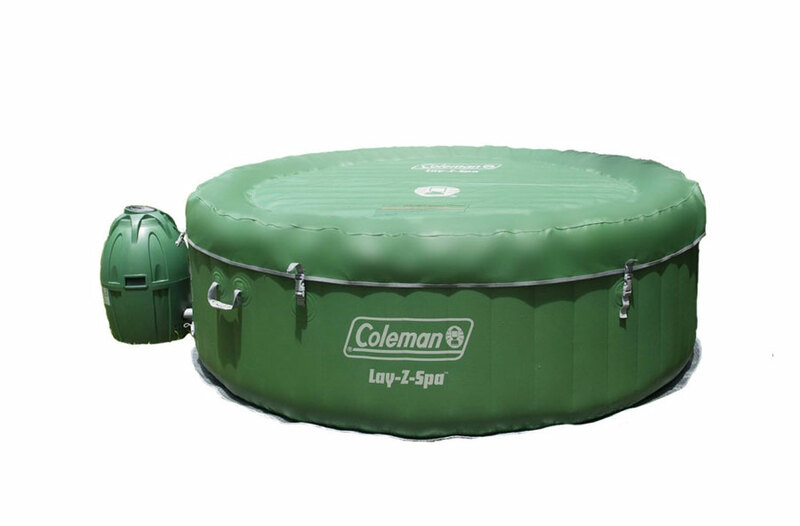 Included on the side is a rope ladder for easy access from the sea allowing you to jump in for a dip and easily get back onto the island.Inflated Dimensions: 102″L x 95″W x 27″ tall with a weight Capacity of 704 lbs. 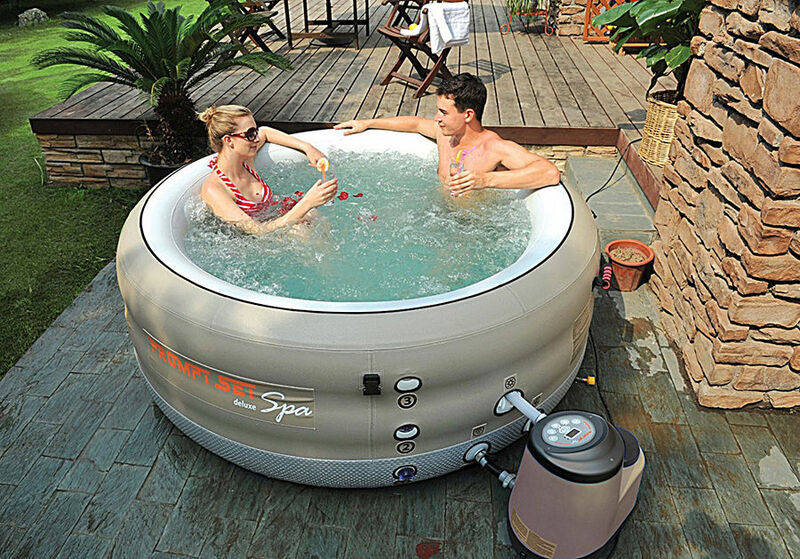 The Tropical Tahiti Floating Island has two sides, a side where you can relax and sunbath or sit up, on the other side are more formal seats that are upright allowing you to chat with friends. There is netting in the foot well allowing you to cool your feet in the water while the netting keeps out and seaweed and fish if you are in the sea. 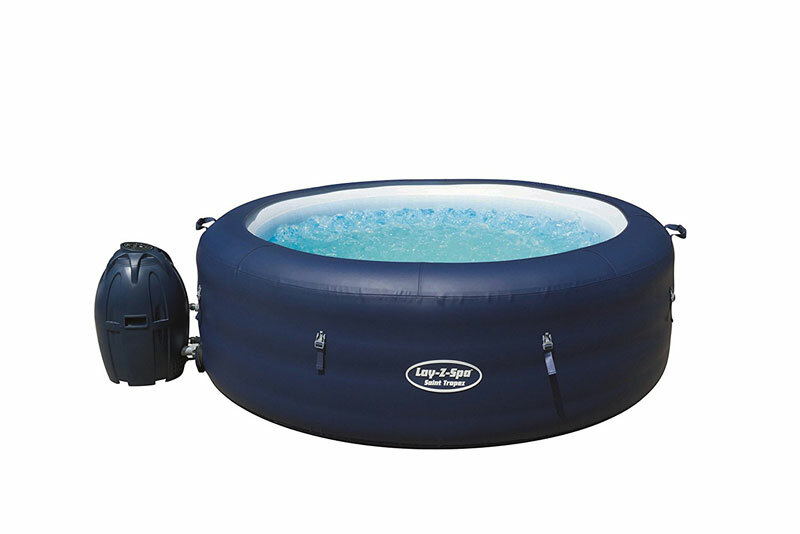 This inflatable island can be pumped up with an electric pump in about 10 minutes. 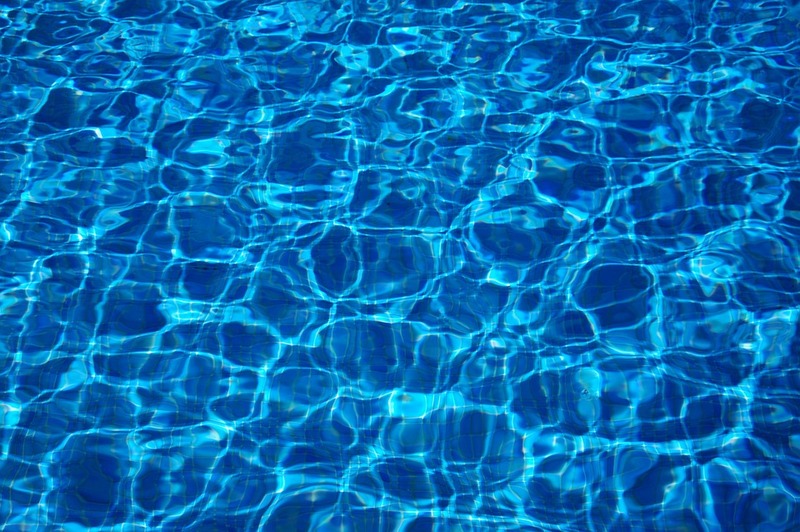 Although doable you can manually pump it up, however it will take a bit of time and also quite a lot of effort. This floating island for 4 people made using sturdy coil beam construction. 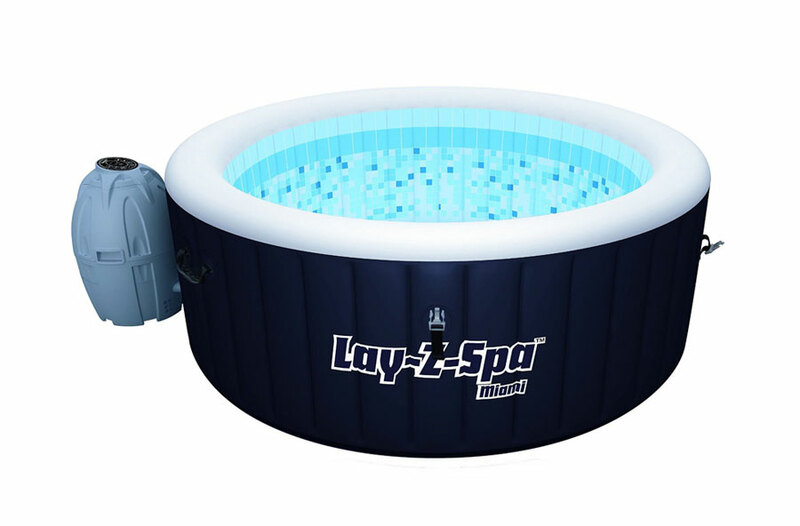 A design of 4 loungers in a circle perfect for chatting while catching some rays and being relaxed. There is a well in the middle for you to place your feet and also get the sea water on you to cool down. There are also two chambers that help keep this island and raft afloat which also act as tables too. Each seated area has a drinks holder too and there are grip handles around the edge as well. 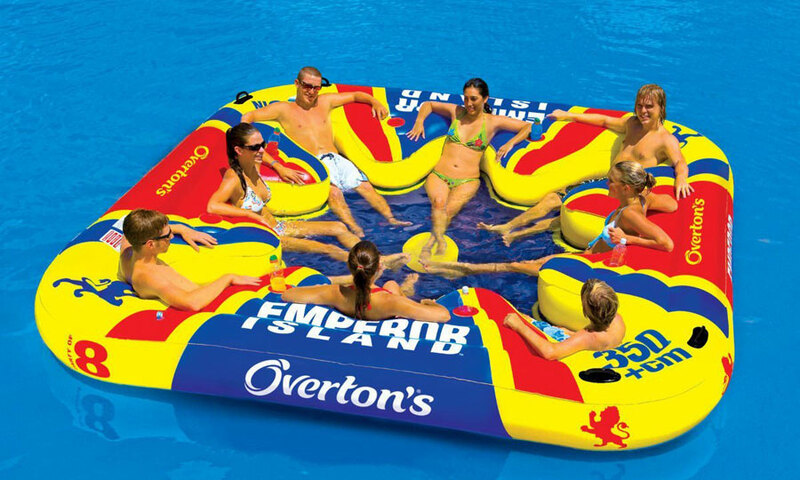 The Emperor Island Party Lounge Raft is one of the larger inflatable in this list and will easily hold up to 8 adults who can relax on this. You can lie back and relax with your feet in the water, there is a netted mesh here which stops fish and seaweed from coming up. Around the edge are lots of bottle holders and also hand grips too. 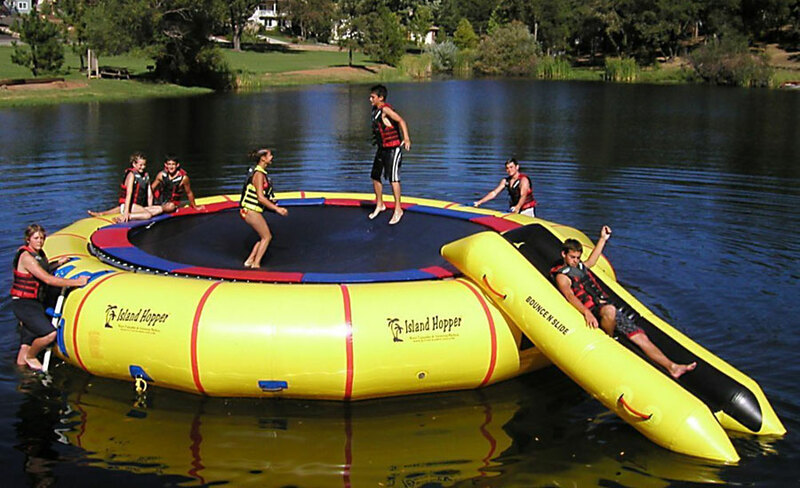 If you have the space then how about this giant water trampoline, once inflated it can be put out into the lake where kids and adults can enjoy. 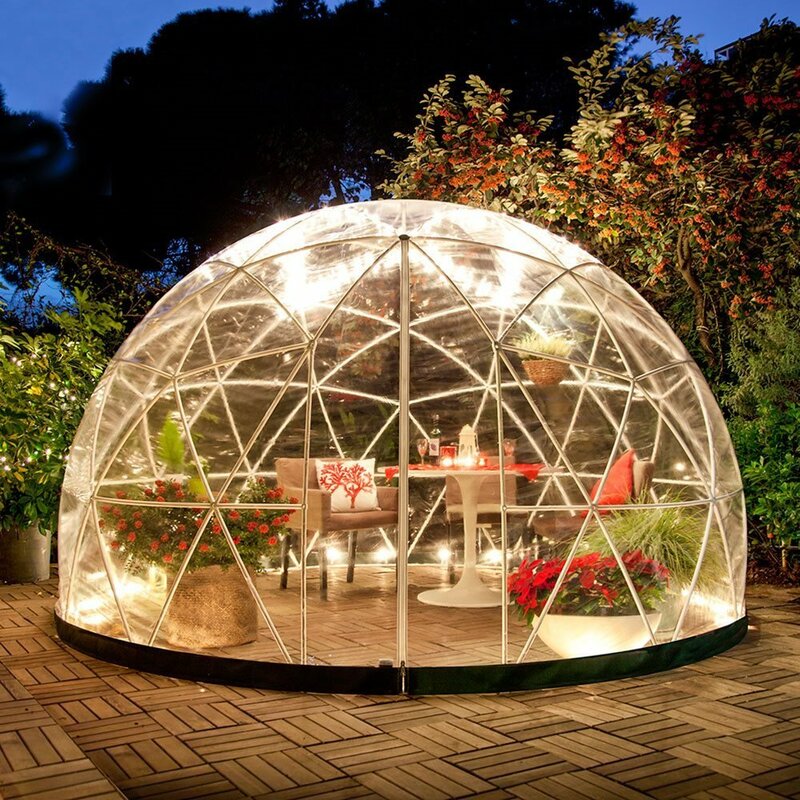 Designed and built with a heavy, robust commercial construction using 30oz. 1100 Denier UV resistant PVC material.There are 6 anchor-tie D-rings (3 inside and 3 under tube) for secure anchoring and mooring as well as 2 ladders, one either side to allow for easy access to climb back on. 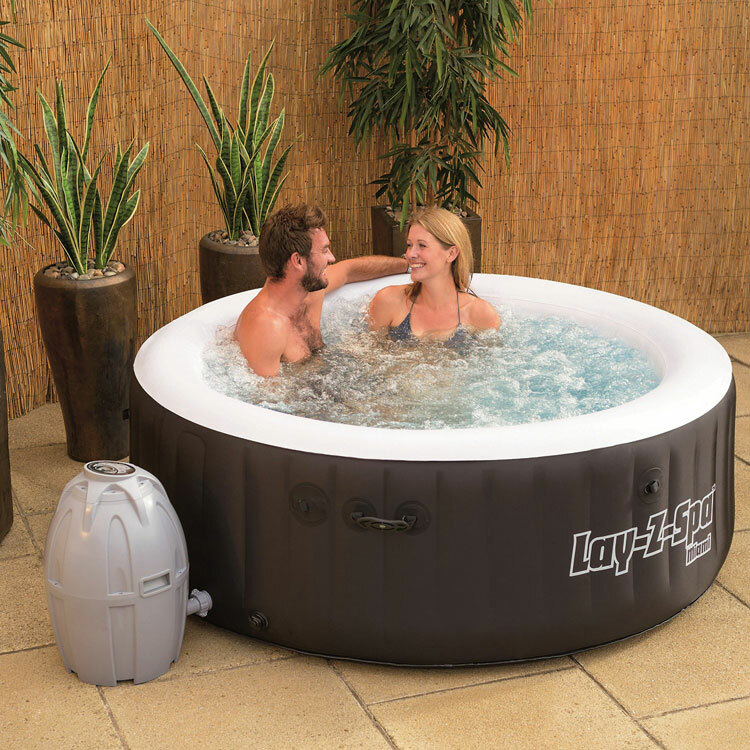 If you want something just for couples then the Intex Canopy Island Inflatable Lounge is for you. 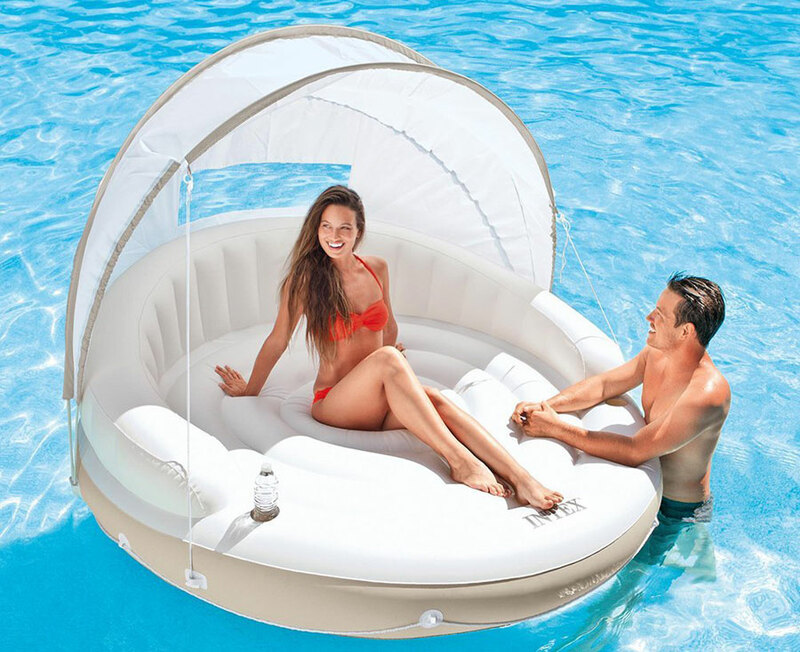 Perfectly sized with room to spare for 2 adults, perfect for on the beach while sunbathing, or floating in the sea, this inflatable lounger also has a built in canopy giving you some shade from the sun. 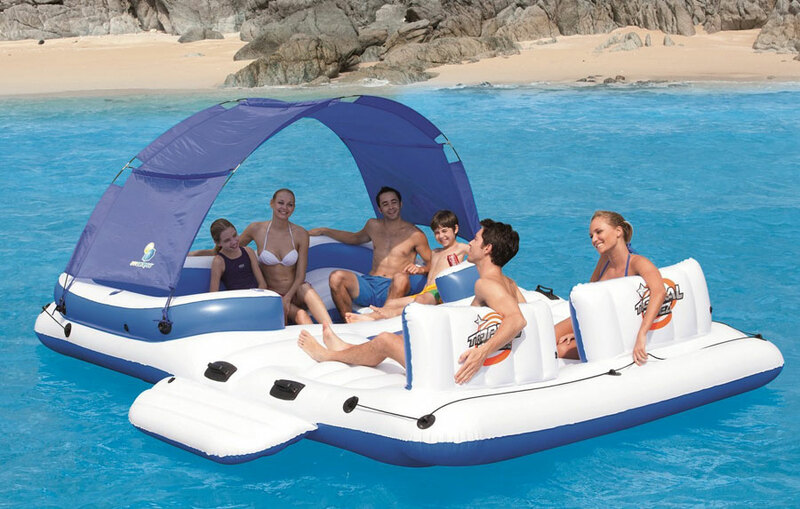 This is great for the beach and then can be dragged into the sea. 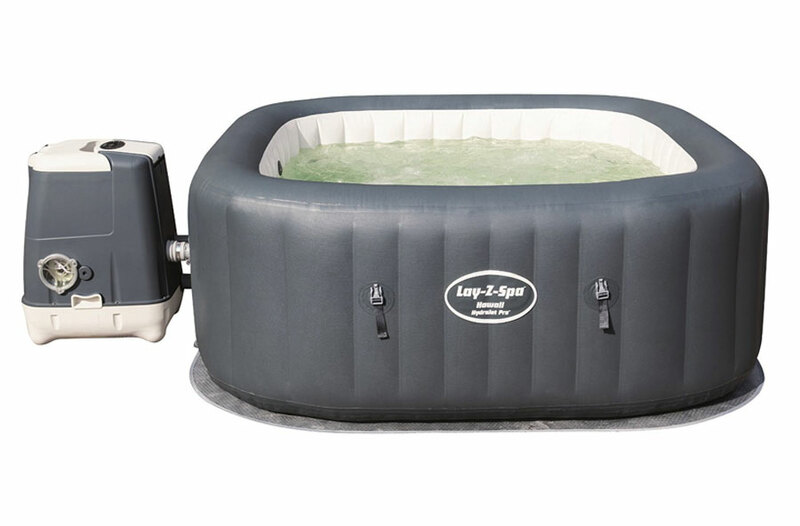 Two air chambers are added for extra safety and two built-in cup holders are included for you to keep a beverage nearby.